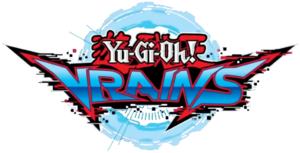 "Door to the New World" is the ninety-ninth episode of the Yu-Gi-Oh! VRAINS anime. It will air in Japan on April 24, 2019. Bearing the hopes and wishes of his allies, Playmaker faces off against Bohman, who has absorbed the Ignis. Meanwhile, something abnormal happens to the people who were trapped in LINK VRAINS, and they start to fall unconscious. Bohman then creates a powerful Data Storm and Summons a terrifying Link Monster.